As all with any week here at BrandCo, we are hard at work fulfilling the goals and dreams of our clients. Whether they were past clients who upgraded their standard refresh or new clients going in head first with a responsive design from our team…eAgentC provided by Keller Williams is looking amazing! Nicole’s website designed by Tony definitely had its mobile users in mind. While using the KW colors, there are definitely some flairs used in there that are nothing but Nicole. Im a big fan of the lower area of links that help her clients find what they’re looking for with ease. 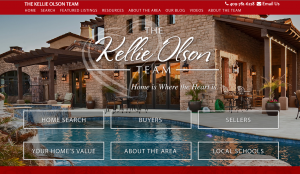 Keller Williams red is abundant in this responsive redesign Denika made for Kellie Olson. The calls to action on this website are very apparent and available to visitors right away. I especially love the incorporation of the heart design throughout. 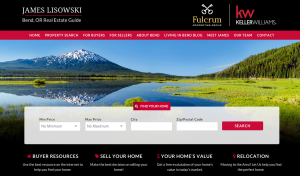 David Myers trusted Piero with the refresh of his Keller Williams eAgentC website. 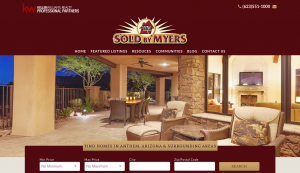 Using those warm Arizona tones, he was able to create a very traditional look for this real estate agent. As Allison has been an avid user of her Piggyback Blog since 2013, a responsive refresh by Samantha is going to greatly benefit her in search engines. 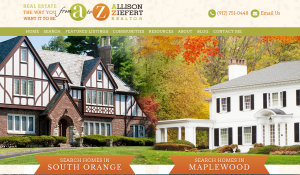 The design has her two focused communities front and center for her valued clients to browse. Modern and Fresh! We do not commonly refresh commercial websites, but it is always nice mixing things up when we do. Anthony teamed up with Denika to create a very city focused design. The website itself is full of helpful information including videos and direct links to community searches. This Luxury design for Janice includes striking photography and patterns. From her website, users can easily get linked up with websites on featured neighborhoods so they can stay up to date. Having the Google Translate button in the top area of her website is going to be a benefit to any client that would require a primary language over English, too! 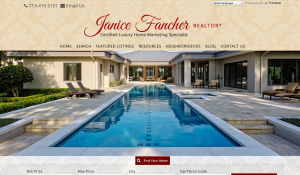 James’ Keller Williams centric website was brought to realization by Denika. It’s a very clean and straightforward design that focuses on both buyers and sellers. The featured image of green landscapes with a snow capped mountain in the background is striking. This website for Craig and Cynthia in Arizona is bursting with the color blue thanks to Bianca. 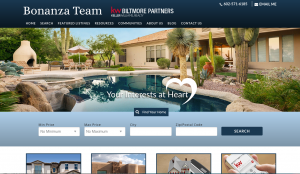 My personal favorite thing included on this website for clients is the use of the communities area of the menu to make searching for homes really easy for those looking. They made great use of their Wolfnet WordPress plugin and Piggyback Blog to help benefit their clients. 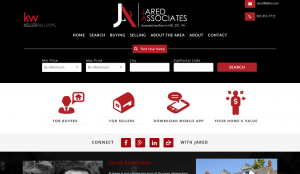 Short and sweet is an excellent way to describe the newly designed website for Jared Associates that Tony made. Everything is straight to the point and easy to navigate for users. It’s quite obvious that searching for homes is the big call to action for this eAgentC site. Gesenia delivered a Keller Williams red focused design for Tamara Bourne and her team. Eric developed some really fun hover effects for when your mouse touches the larger red buttons near the bottom of the page. They’ll have a real estate dictionary at a later date that will help her clients when navigating the world of realty. 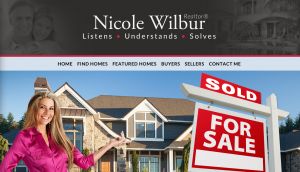 Our designers and developers here at BrandCo loving getting to make these custom changes to the eAgentC website to deliver an amazing looking and functional website for our Keller Williams realtors. We’re happy to become partners with our clients, to become involved in their business to help guide them to success!